A fantasic dive experience. 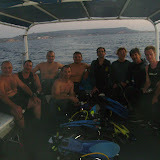 Excellent night - great dive! Look forward to see this becoming an annual event!